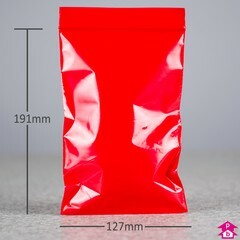 Red grip seal bags. 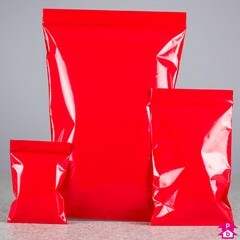 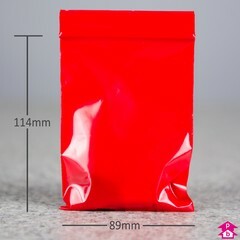 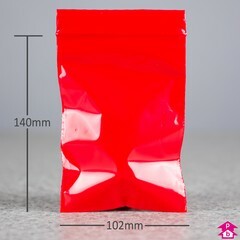 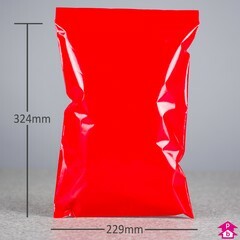 A range of re-usable self-sealing bags from small up to A4 size all in a glossy lipstick red. 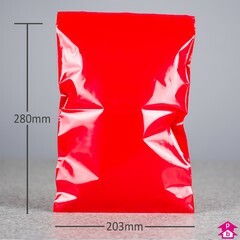 Ideal for colour-coded storage.